What does a Fantastic Sams Franchise Cost? Fantastic Sams is a great alternative to costly, high-end salons. We set up shop in neighborhood shopping centers near where people live, we keep convenient hours, we accept walk-ins and we offer services for men, women and children. We offer families a one-stop family shop, which fosters intense customer loyalty. Four decades later we’re still growing strong with our trend-right salons. Fantastic Sams has remained relevant because we specialize in offering affordable options for what full-service beauty salon customers seek. 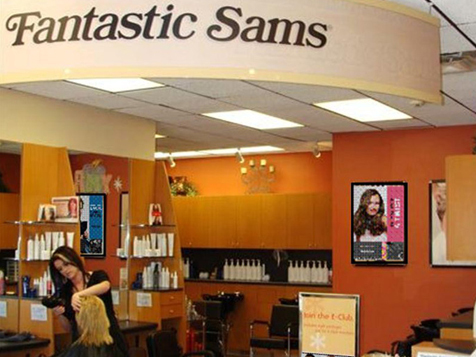 Fantastic Sams operates in the middle of the target of a high-growth but still mature $75-billion-a-year salon industry. Hair Salons are big business, especially salons that offer color services in addition to haircuts. Regardless of the economy, people always need haircuts. Older women want to look younger. Younger women want to look more sophisticated. Everyone wants to look good. Multibillion-dollar industries don’t just go away. Salon services can’t be replaced by technology, either. You can’t stream them through the internet or outsource them to other countries, and they aren’t subject to a host of dangers and threats that other businesses experience. Since Fantastic Sams began, the United States has experienced six recessions. Many of our franchisees are 20- and 30-year veterans whose Fantastic Sams thrived through all of them. During tough economic times, women who would normally visit high-end salons look for something more affordable, which is the heart of our sweet spot. Our business is almost bulletproof, and the business world has noticed. No. 47, “Entrepreneur” Top 500 franchises, 2014. We’ve been on this prestigious ranking of the best franchise opportunities for several consecutive years. No. 151, “Franchise Times” Top 200, 2013. In addition, Fantastic Sams was included in the publication’s Top Personal Care franchise systems. “USA Today” 50 Top Franchises for Veterans, 2013. We offer veterans a 25% discount on the franchise fee and $5,000 in Fantastic Sams hair products upon salon opening in participating markets. “Inc. Magazine’s” Franchise 500|5000, 2010-2013. Fantastic Sams is included in the compilation of the fastest-growing private companies in America. We want to clear up a misconception about the salon franchise industry right away: You do NOT have to have any experience as a stylist or working in a salon to be a successful franchisee. You just need a head for business. The ideal candidate will have a business acumen with marketing and customer service focus and will embrace the franchise model and process. The Fantastic Sams brand you might remember from the 1970s was acquired in 2012 by Dessange International, a premium-luxury, multinational European beauty salon chain. Since then, we are growing, and we expect to double or triple our number of locations in the next five to 10 years. Now is a great time to research owning your own Fantastic Sams Hair Salons franchise. You don’t need to have any previous experience in the Hair Salon Business. Whether you are interested in developing single or multiple salons, as an owner of a Fantastic Sams Hair Salon Franchise, each day you’ll work on your business, not in your business. Using your skills in marketing, employee relations, and business management, you dictate the success of your salon or salons. 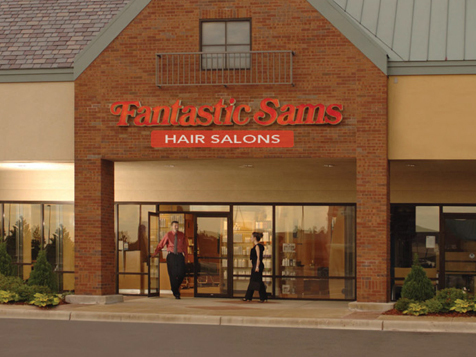 A Fantastic Sams® hair salon franchise offers entrepreneurs like you the best of two worlds. While you get all the benefits and satisfaction of owning your own hair salon business, you have constant support from Fantastic Sams at the same time . We help you with many challenging aspects of the salon business such as training, marketing, recruiting and employee retention, salon operations, real estate and development services, and product sales. Proper training is vital to the success of a Fantastic Sams® Hair Salon Franchise. 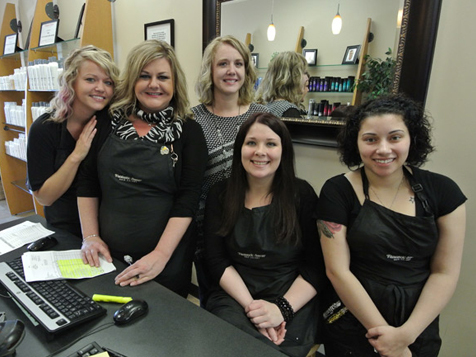 As a franchisee, you’ll benefit from three levels of training: Owner Training, Manager Training, and Stylist Training. To maximize performance from all three groups, we’ve catered the curriculum to each group’s specific needs. Salon Fundamentals for Owners: Focuses on the core needs of the salon business owner. Topics include Business Planning and Analysis, Marketing, Human Resources, Customer Service, Store Operations, and Finance. Salon Management: The salon manager is responsible for the day-to-day operations of the salon business. Topics include many of those in Salon Fundamentals, and also Recruiting, Scheduling, Training, Leadership, and In-Store Sales. Technical Education for Stylists: Stylists will benefit from a curriculum that is focused on enhancing their skills and performance. Your stylists will help build your salon business by being skilled, trained, and certified in the latest methods, products, and styles.